First, let’s answer the question: “is it historically accurate that women fought in WWII?” Short answer: yes. Battlefield is a long-running gaming franchise that has roamed through several different eras of warfare including World War I and II, Vietnam, the modern era, and even the distant future. It is a series built around intense battles and action where you can hear your parentage questioned by twelve-year-olds from a variety of countries and languages, as they frag you for the 40th time in the same game. People are screaming about historical accuracy, so allow me to weigh-in as a historian who plays games and actually knows a little about this aspect of history. For the Allies and Axis, the majority of roles for women were support roles and mostly based in the homeland, far away from any action. (Though, in many cases these home territories would not stay untouched and women repeatedly demonstrated their mettle when the war followed them home. The WVS in the UK being a prime example of this.) However, there were several militaries that enlisted women for a variety of field action roles including: espionage, propaganda, battlefield medicine, and, in the case of the Soviet Union, actual soldiering, including sniper warfare. 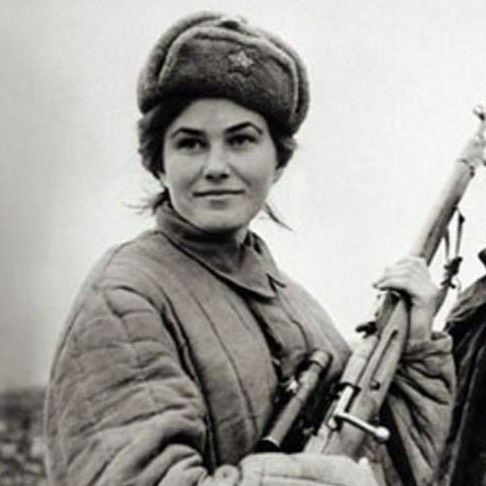 In fact, one of the deadliest snipers of all time was a woman. So, in terms of accuracy regarding if women fought in World War II, yes, they did. Resoundingly so and it is a matter of historical record. Afro-German soldier of Nazi Germany – Free Arabian Legion in September 1943. The issue many are bringing up though, is that the woman in the trailer is British, which is an issue because, historically speaking, there were no British women serving in frontline combat in World War II. At least not officially. Women were in many support roles and many were enlisted towards the end of the War into various regiments and expected to carry out similar physical duties to their male counterparts. There were several regiments trained to use rifles and anti-aircraft guns, and many reports, though condescending in nature, did commend women for being “adequate gunners” when it came down to it. ‘Ack Ack Girls’ were members of the Auxiliary Territorial Service (ATS) that helped operate Anti-Aircraft Guns in the defense of Britain from German bombing. There were no female British frontline soldiers, true, but many British women were sent to mainland Europe as part of clandestine activities to incite and support resistance movements against Nazi Germany. And these women were certainly on the frontline of guerrilla and urban warfare. In the Special Operations Executive (SOE), Churchill recruited around 60 women “to set Europe ablaze”. They were deployed behind enemy lines, usually by parachute or fishing boats, to help form a ‘secret army’ of resistance fighters preparing the way for the Allied invasion. I know, right? “Does historical accuracy matter?” coming from a historian… depolorable. They should have my history licence for this! Well, when it comes to video games, movies and series, we take it all with a hefty, artery clogging, pinch of salt. We understand that even if the item of entertainment claims it is historically accurate, which Battlefield does not and has never claimed, and in fact they have claimed the opposite repeatedly – stating they sacrificed historical accuracy for the sake of a fun game – they are well within their rights to change anything as they see fit. I see no reason why they wouldn’t do the same for Battlefield V and will continue to do in the future as they have in all of their games! The fact is… the facts don’t match the outrage. But it doesn’t matter because IT IS A GAME THAT IS, BY DESIGN, NOT HISTORICALLY ACCURATE! 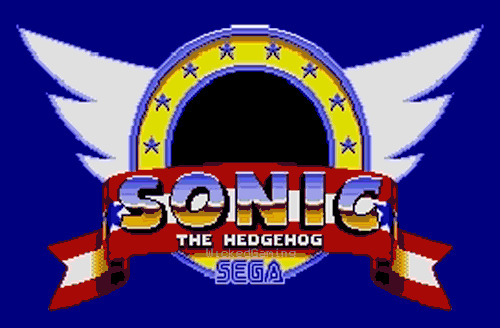 There is as little reason to be upset about a woman, or African, being included in this kind of game as there is about hedgehogs being blue and bipedal. We accept that that gaming universe has golden rings and robot animals because that is the universe that the developer created, and in the case of Battlefield V, they included a woman as a playable character. Horrifying, I know. Pictured: a reason to be upset. Sarcasm aside (hah, never), this also has it’s roots in anti-SJW reactions. Now, I’m not a fan of many SJW movements as I find many have been co-opted by radical factions that have run away with themselves and caused more harm than good, however, having these knee-jerk reactions to something like this just seems ridiculous considering how much else we gamers accept in other games. Why is WWI and II sacred all of a sudden? I didn’t see anyone complain about Battlefield 1942: Secret Weapons of WWII when it came out. It’s entire premise is fighting battles with weapons that never appeared on WWII battlefields. Where’s the retroactive outcry here? Pictured: a reason not to be upset. I’ve termed this phenomena “hysterical accuracy“: the immediate, emotional reaction to something perceived to be historically inaccurate and thus invalid according to a person’s particular agenda despite a lack of knowledge on their part. This person experiencing the outrage is using perceived (yet ironically inaccurate) knowledge to bolster their particular argument – and notoriously these arguments are anti-progressive, pseudo-intellectual/scientific, from the white male demographic, and summarily patriarchal in nature. They have been taught a particular historical narrative and maintain that status quo disregarding new and critical information that may counter their narrative. The point of this article was first and foremost to provide information on women in World War II. The second point was to debate historical accuracy in video games, but the third point will be a final word on historical accuracy in and of itself. Historians are trained to hunt down every last scrap of information pertaining to a specific subject that we can. We will comb through dusty archives, hunt down interview leads, scour old libraries, watch hours of footage, translate ancient graffiti scrawls, and listen to days of audiotapes to nail down sources. We splice together every piece we can to form as coherent a whole as we can, we then compare this information to others in the field who have done similar research and finally send away for peer review. And even after all of that, and it can amount to years of vetting, we still know, deep down, that no matter what we do, we’ll never truly know if our information is accurate. This can be true of ten thousand years ago, and ten minutes ago. Events are fleeting, memory is inaccurate, records can be lost, people can lie. We do the best we can with the information we gather, and we get a reasonable facsimile out of it that is as accurate as possible. But at the end of the day it’s impossible to claim it as definitive truth. It’s as close as we’ll get without a time machine (thanks Stephen Hawking), and we’re damn good at finding it. Pictured: I want this shirt. With that in mind, we know that no work of fiction, even rooted in fact, will ever be as accurate as we might want it to be. Games, movies, etc are all meant for entertainment, and they will take liberties and make sacrifices to make something fun to play. And that’s ok.
Quite frankly having female or black characters in such a game has zero impact on how it’s played beyond perhaps someone enjoying a different choice of character. The gameplay is what matters for something like this and as long as I can get a decent k/d ratio, does it matter? From a historian to the public: no, it does not matter if this video game has different characters to what is historical, because it was never meant to be historically accurate in the first place.